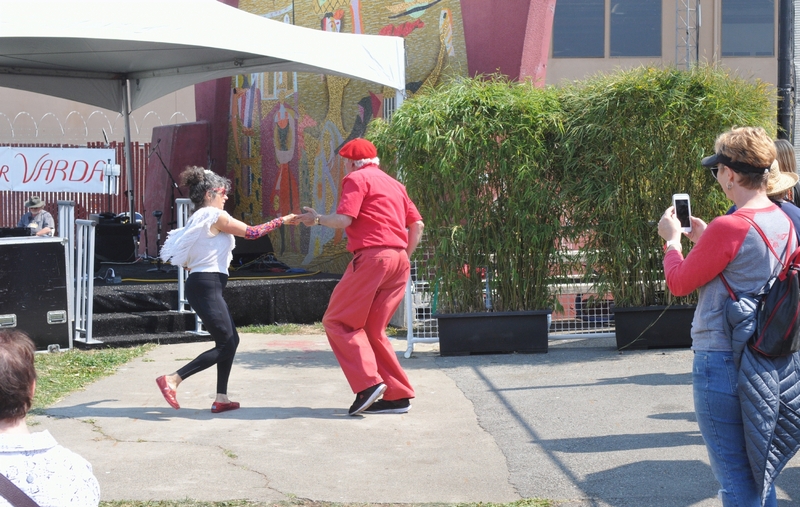 A couple danced to the music of Carbe & Durand (Spanish guitar duo) just to the right of the Artist Stage. One of the fair attendees filmed the dance using a phone. 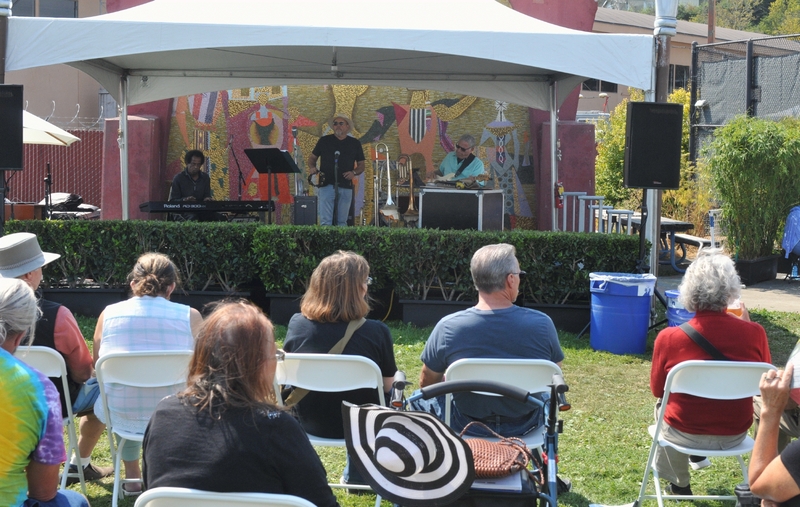 The Sheldon Bermont band played on the Artist Stage at one corner of the art exhibition area. The stage was covered by a white awning, and backed by a permanent mosaic.